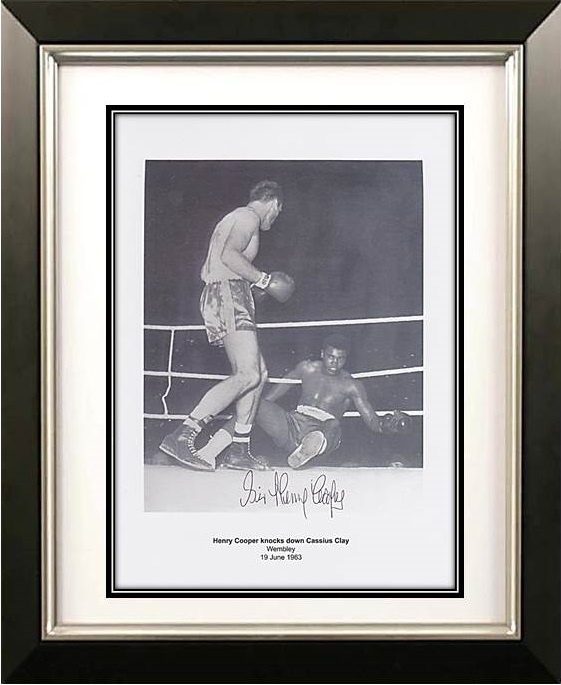 Signed Henry Cooper knocks down Cassius Clay Cooper caught Clay with his celebrated left hook. It was the first time Clay had ever been knocked down and he was only saved by the bell. Cooper caught Clay with his celebrated left hook. It was the first time Clay had ever been knocked down and he was only saved by the bell. 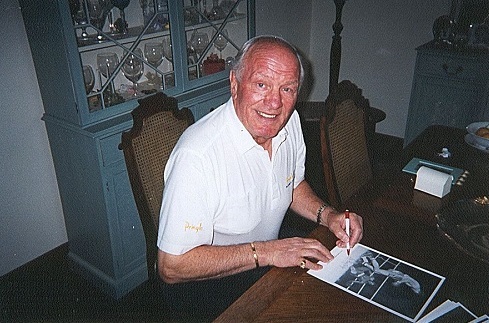 The late great Henry Cooper or “Our ’Enery” was the embodiment of the virtues of courage and modesty. His most celebrated fight took place at Wembley in June 1963. Cassius Clay, not yet world champion, had predicted he would win inside five rounds but the American had seriously underestimated Cooper. Cooper caught Clay with his celebrated left hook. It was the first time Clay had ever been knocked down and he was only saved by the bell. This wonderful moment has been captured on this matt finish print to heavy 350 gsm board. Good quality clear signature signed at a private signing.